StephenShore.Photography is owned and operated by Stephen Shore. Stephen has a long history in both Scouting and photography. In fact, his first camera was one that he earned while a Cub Scout by responding to an ad in Boy's LIfe magazine to win prizes by selling greating cards. The prize he chose after selling two cases of greating cards was a camera. As a child Stephen was both a Cub Scout and Boy Scout. Then briefly after college he was the Scoutmaster of a small troop in Xenia, Ohio. When his own son was a Cub Scout, Stephen started doing a little in Scouting but really got involved after his son crossed over into Boy Scouts in Troop 718. There he became an Assistant Scoutmaster, merit badge counselor, popcorn kernal, and webmaster of the troop's website. He then become involved at the district level building a website for the North District from scratch and maintaining it for several years. When the Council rearranged districts, Stephen became the Communications Chair of Blackland Prairie District responsible for its website and email communications and is currently the Technology Chair. 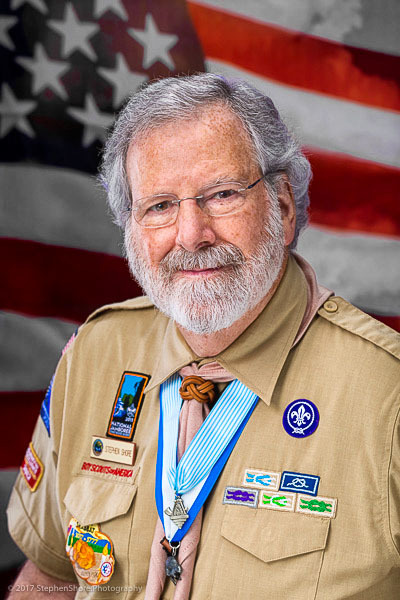 He is a current member of the Council Marketing Committee and chair of the Dallas Jewish Committee on Scouting. He was on staff for the 2010, 2013, and 2017 National Scout Jamborees. For the 2013 Jamboree Stephen was publisher of Jamboree Today, the daily news service at the Summit. Along the way Stephen earned his Wood Badge beads and was awarded the Award of Merit, the Silver Beaver, and the Shofar Award. He has been making portraits of Scouts who recently earned their Eagle rank since the beginning of 2008. That first camera as an 8 year old was just the start of Stephen's career in photography. 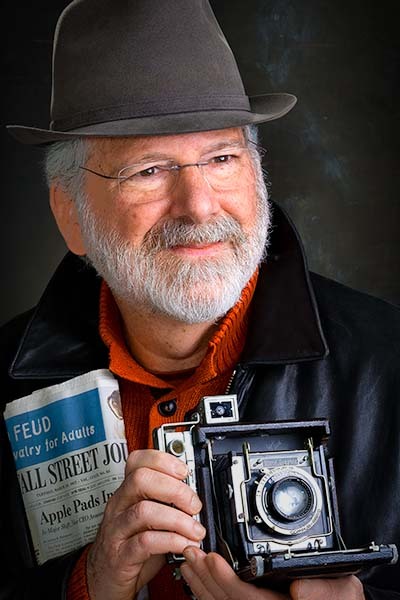 In high school, along with being president of the Camera Club and photographer for the school newspaper, he had a part-time job shooting for a chain of community newspapers. While studying Imaging Sciences at Rochester Institute of Technology, his summer job was photographer for the largest newspaper in Pittsburgh, PA. At 20 years old he was offered a position as staff photographer for UPI. His early photo-optical engineering jobs including building a handheld camera for the Apollo astronauts, color measurement equipment for the U.S. Air Force, and early instrumentation investigations for the Hubble telescope. He also went back to R.I.T. and taught in the School of Photography for a period. After teaching he worked in both the micrographics and microelectronic industries, eventually moving into publishing. He worked for various computer and business magazines and web sites starting in sales and eventually moving up to publisher positions. Properties including InformationWEEK, PC Magazine, MacUser, MacWorld Online, internet.com, Acumen Journal, and Enterprise Development. He continues to hone his photographic skills as an active member of the Professional Photographers of America and taking frequent PPA continuing education courses. He has had multiple photographs accepted into PPA's International Print Competition prestigious Loan Collection.